To provide the best homeschool programming for children, parents can find many options available. They can look at curriculum, resources, books, community activities, DVDs and much more. Choosing Curriculum and Resources for the Year - The best place to start when choosing homeschool resources is with a good homeschool planner. This simple sheet can help you organize your curriculum choices in one place for all subjects and all children. Once you have a place to write all your options, then you can look all the books and resources that are available. Community Activities - Many libraries, museums and historical societies realize that homeschoolers support their programs, so they often provide resources to encourage attendance. Depending on where the museum is located, the occurrence of these activities will vary. Some might offer a weekly homeschool activity and some might offer a monthly homeschool activity. 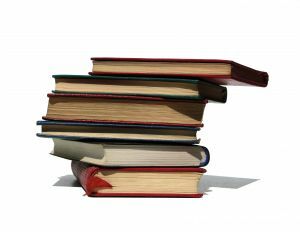 Libraries are also often supportive of homeschoolers and in order to get them to come into the library more often, they offer programs where homeschoolers can participate. Computer Programming - Some people, when they think of homeschool programming, think that it refers to computer programs that help homeschoolers learn how to program a computer or learn a computer language. There are plenty of software programs or even community college classes that can teach a homeschool student about programming. Check with your closest community college to see if they have any computer classes. Sometimes vocational schools also offer evening classes on computers. Homeschoolers should have a fairly easy time getting permission to take classes at a community or vocational school. It's a great way to get some junior college experience. 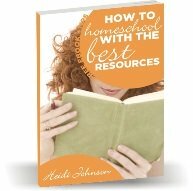 Whether you are looking for help with choosing curriculum, finding homeschool activities in your area, or finding computer classes, I hope these suggestions have helped you. Parents and communities can all be involved in homeschool programming. Homeschoolers are a great group of people that can benefit from the activities that are available in many cities. If you live in a small town, don't let that discourage you. Sometimes you have to be a little more creative, but there are often more opportunities available in the country than the city depending on what you want to see.